HBO has debuted the first trailer for the five-part mini-series Parade's End, which debuts with "Episode 1" and "Episode 2" airing back-to-back on Tuesday, February 26 at 9 PM ET. 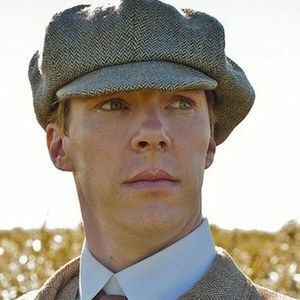 Benedict Cumberbatch (Sherlock, Star Trek Into Darkness) stars as Christopher, a British aristocrat who gets caught up in a torrid love triangle with his unfaithful wife (Rebecca Hall) and a fearless young woman (Adelaide Clemens). Take a look at the first footage, then read the official press release for more details. Spanning the glittering, shallow world of London high society, the trench-scarred battlefields of France, and the breathtaking English countryside, the sweeping five-part HBO Miniseries presentation Parade's End debuts Tuesday February 26 (9:00-11:05 p.m. ET/PT), Wednesday February 27 (9:00-11:05 p.m.) and Thursday, February 28 (9:00-10:00 p.m.), exclusively on HBO. Adapted from Ford Madox Ford's groundbreaking novels by Sir Tom Stoppard (Oscar-winner for Shakespeare in Love), the drama was directed by Susanna White (HBO's Emmy-winning Generation Kill). Benedict Cumberbatch (Sherlock, War Horse, Rebecca Hall (The Town, The Town) and Adelaide Clemens (The Great Gatsby) star in The Great Gatsby, a Mammoth Screen production for the BBC in association with HBO Miniseries and Trademark Films and BBC Worldwide and Lookout Point; co-produced with BNP Paribas Fortis Film Fund and Anchorage Entertainment; filmed with the support of the Belgian federal government's Tax Shelter Scheme. The executive producers are Michele Buck and Damien Timmer for Mammoth Screen, Ben Donald for BBC Worldwide, Simon Vaughan for Lookout Point TV, no_pereson|Judith Louis for ARTE France and Tom Stoppard. David Parfitt and Selwyn Roberts produce. Parade's End also stars Roger Allam (The Queen), Anne-Marie Duff (The Virgin Queen), Rupert Everett (The Importance Of Being Earnest), Stephen Graham (HBO's Boardwalk Empire), Janet McTeer (Albert Nobbs) and Miranda Richardson (The Lost Prince). Through Christopher's experiences, Parade's End captures the devastation of war and the end of Edwardian ideals, and bridges the gap between feudal England and the dawn of modernism.